Also called the wood ibis, the wood stork is one of the largest wading birds found in North America, and it is the only stork found in the United States. 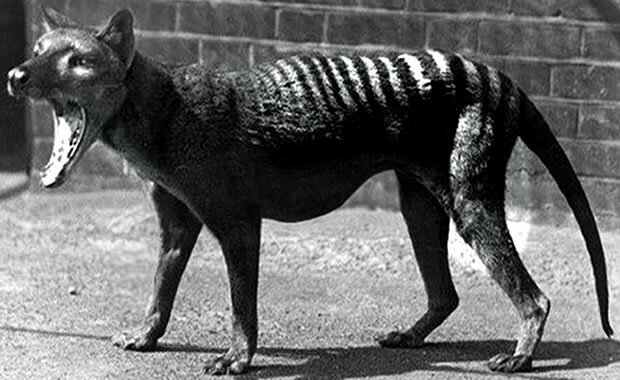 An adult stands about 3.3 feet tall, and its wingspan can reach over five feet. Its plumage is white, the head is bald and grayish, and its tail, legs and flight feathers are black. The bill is large, down-curved and pale yellow and can reach up to 9 inches long. On average, wood storks weigh about 7 lb, and though their heavy weight limits their flight distances, they are known to be great acrobats when descending, performing marvelous turns, dives, and roles. Wood storks prefer to dwell in wetlands, and they can feed and nest in fresh, brackish, or salt water. They prefer to hunt in shallow water or muddy-bottom banks. Diet consists of fish, crayfish, amphibians, and even young alligators and snakes. Prey is caught by submerging its beak about two to three inches in the water and feeling for fish passing by. They are able to startle their prey out of their hiding places by stirring the water with their feet. Wood storks prefer to come together in colonies during nesting season. The nests are built near the top of trees or shrubs, sometimes as high as 100 feet. Females lay up to five eggs, and both parents help to incubate the eggs. The eggs hatch after 30 days and both parents feed and care for the young. This species is mainly threatened by loss of habitat and change in land use and water levels, especially in Florida's wetlands. The birds depend on these wetlands for nesting and feeding, and they are also subject to predation by other creatures such as raccoons. In the 1930s populations were about 20,000, but today only about 5500 nesting pairs remain. Wood storks are listed on the Federal List of endangered species and they are also protected under the US Migratory Bird Treaty Act. Copyright Notice: This article is licensed under the GNU Free Documentation License. It uses material from the Wikipedia article "Wood stork". Glenn, C. R. 2006. 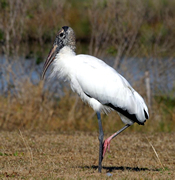 "Earth's Endangered Creatures - Wood Stork Facts" (Online). Accessed 4/24/2019 at http://earthsendangered.com/profile.asp?sp=880&ID=9. Need more Wood Stork facts?